Business writers, neo-liberal economists and politicians in North America and the EU heralded Latin America’s embrace of a ‘new wave of free markets and free elections’. Beginning in 2015 they predicted a new era of growth, stability and good government free of corruption and run by technocratic policy-makers. By early 2018 the entire neo-liberal edifice was crumbling, the promises and predictions of a neoliberal success story were forgotten. The ‘naysayers’ were in ascendancy. This paper will discuss the recent rise of a so-called ‘neo-liberal wave’ or right turn and the regimes directing it. We will critically re-evaluate the initial claims – and their fragile foundation. We will outline the promise and program which were promoted by the neo-liberal elite. We will then evaluate the results which ensured and the ultimate debacle. We will conclude by examining why neo-liberalism has always been a crisis ridden project, a regime whose fundamentals are structurally unstable and based on capitalisms easy entry and fast departures. By the beginning of 2015 and extending to 2018 a series of rightwing neo-liberal regimes came to power in some of the most important countries of Latin America. These included Argentina, Brazil, Ecuador and Colombia. They joined a cluster of existing ‘free market’ regimes in Mexico, Peru, Honduras and Paraguay. Wall Street, the financial press and the White House hailed the regime changes as a ‘rightwing wave’, a return to ‘normalcy’ and a rejection of ‘populism’, corruption and economic mismanagement. Leading investment houses looked forward to technocratic economists’ intent on following the precepts of neo-liberalism. Bankers and investors looked forward to long-term stability, dynamic growth and lucrative opportunities. The formulae uniformly applied by the neo-liberal regimes included de-regulation of the economy – lowering tariffs, elimination of subsidies on energy, fuels and public utilities; the firing of thousands of public employees and the privatization of entire sectors of the mining, energy telecoms and infrastructure sectors. Debt moratoriums ended and bankers were rewarded with lucrative billion dollar payments for loans they had purchased, pennies on a dollar. The neo-liberal rulers promised that foreign investors would flock through the ‘open doors’ with long-term large-scale investments. Lucrative capital gains , benefiting from tax exemptions, would encourage the return of overseas holdings of domestic speculators. Neo-liberal regimes claimed privatized firms could end corruption, increase employment and mass consumption. They argued that deficits and unemployment, would decline and the ‘neo-liberal wave’ would last a generation or two. Within a year of coming to power, the neo-liberal regimes entered a terminal crisis. In the first place most regimes came to power through authoritarian paths. In Brazil, Michel Temer took-over the presidency via a congressional coup, based on President Dilma Rousseff’s supposed administrative mismanagement. In Honduras a US backed military coup ousted the progressive liberal government of President Jose Manuel Zelaya, as was the case in Paraguay with President Fernando Lugo. In Argentina, Mauricio Macri exploited the provincial patronage machine, capitalized by a banker-media-agro-mineral alliance, to take power based on a Mexican-style ‘electoral’ process. 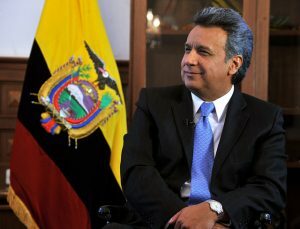 In Ecuador newly elected President Lenin Moreno followed a “Trojan Horse” ploy – pretended to follow in the footsteps of national populist President Rafael Correa, but once elected, embraced the Guayaquil oligarchs- Wall Street bankers. Neo-liberalism’s democratic credentials are of dubious legitimacy. The socio-economic policies quickly undermined optimistic promises and led to social-economic disasters. The neo-liberal regime in Argentina multiplied unemployment and under-employment twice over while living standards declined precipitously. Tens of thousands of public employees were fired. Interest rates rose to world highs at 65% – effectively eliminating business loans and financing. Initially business enterprises which were eager to back the neo-liberal regime; but faced with devaluation, debt and depression, investors fled to safer havens after pocketing windfall profits. In Brazil trucker strikes paralyzed activity and forced the Temer regime to retract its petrol prices. Popular discord has blocked Temer’s regressive privatization and pension program. Michel Temer’s popularity fell to single digits. 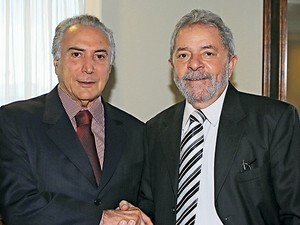 The orthodox economic presidential replacements to Temer lag the Workers’ Party popular leader Lula Da Silva by 30% .The highly neoliberalized judiciary, faced with repudiation, has framed and barred and jailed Lula. In Colombia regime corruption led to a popular referendum, opposed by the far right. Social movements charge the new neo-liberal President Ivan Duque of ignoring and encouraging the assassination of over three hundred social activists over the past three years. In Honduras and Paraguay, economic stagnation and social regression has driven tens of thousands to flee abroad or engage in militant movements occupying fallow fields. In Ecuador the fake reform regime’s embrace of the business elite and IMF style ‘adjustments’ has led to wide spread disillusionment. President Moreno’s austerity program has reduced GDP to 1% and has dismantled public programs, as he lays the groundwork for privatizing mines, telecoms and banks. As the neo-liberal regimes face the abyss, they increasingly rely on a militarized state. In Brazil the military has taken over the favelas; in Argentina military operations have proliferated—- while formerly productive capital has fled, replaced by speculative swindlers. Neo-liberal regimes take power with Wall Street cheers and collapse with barely a whimper. While financial journalists and private investment consultants express surprise and attribute the ensuring crises to regime ‘mistakes’ and ‘mismanagement’, the real reasons for the predictable failure of neo-liberal regimes is a result of fundamental flaws. De-regulation undermines local industries which cannot compete with Asian, US and EU manufacturers. Increases in the costs of utilities bankrupt small and medium producers. Privatization deprives the state of revenues for public financing. Austerity programs lower deficits, undermining domestic consumption and eliminate fiscal financing. Capital flight and rising interest rates increases the cost of borrowing and devalues the currency. Devaluations and capital flight deepen the recession and increase inflation. Finance ministers raid reserves to avoid a financial crash. Austerity, stagnation, unemployment and social regression provokes labor interest and public-sector strikes. Consumer discontent, bankruptcies lead to deep decline of regime popularity. As the crises unfolds, the regime reshuffles ministers, increases repression and seeks salvation with IMF financing. Financiers balk sending good money after bad. The neo-liberal regimes enter in a terminal crisis. While current neo-liberal regimes appear moribund, they still retain state power, a modicum of elite influence and a capacity to exploit internal divisions among their adversaries. The anti-neoliberal opposition demonstrates its strength in challenging socio-economic policies but have difficulty in formulating an alternative political economic strategy for state power.Financial editors worry that pressure is building for a social explosion –a reply of Argentina 2001,when the President fled in a helicopter.